Israel’s early-morning raids on Monday against Iranian installations in Syria demonstrated that Jerusalem’s “red-line policy to prevent Iranian entrenchment in Syria is being upheld with full force,” a senior Israeli minister said Monday morning. 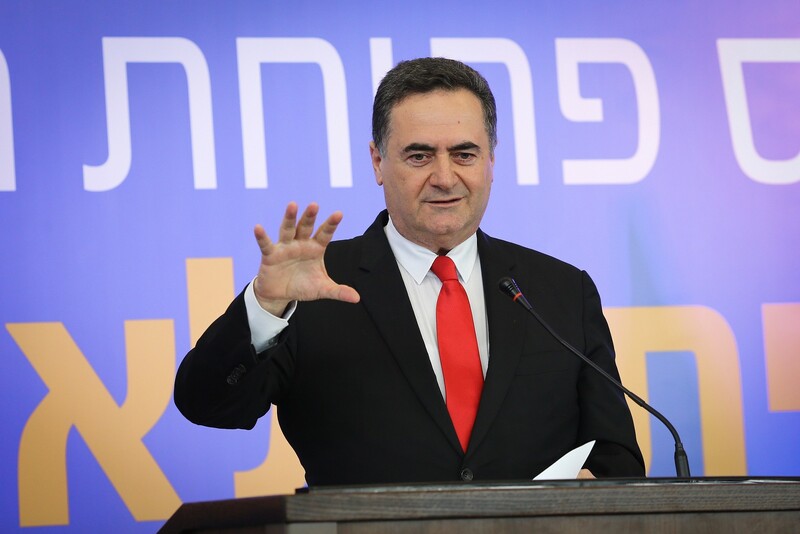 “The IDF attack tonight against Iranian Quds Force targets are a clear message to [Quds Force commander] Qassem Souleimani and the Iranian Revolutionary Guard,” Transportation and Intelligence Minister Israel Katz said in a statement. Katz’s comments followed an apparently massive Israeli air bombardment of Iranian weapons storehouses, intelligence facilities and a training camp near Damascus in the early hours of Monday, a strike that the Israel Defense Forces, in a rare move, publicly announced a few hours later. The army said the airstrikes were in response to a surface-to-surface missile fired at the Golan Heights a day earlier, which was intercepted by an Iron Dome anti-missile battery. Israeli jets attacked Iranian weapons storehouses, intelligence facilities and a training camp near Damascus during a massive overnight bombardment, the Israel Defense Forces said, accusing Iran of firing a missile at Israel a day earlier. 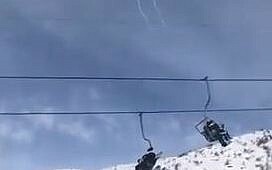 He told Army Radio in an interview Monday morning that the rocket attack targeted the ski resort on the Hermon. According to the IDF, Israeli jets bombed weapons warehouses, including at least one at Damascus International Airport, an intelligence facility and a training camp, all belonging to Iran’s Quds Force, the expeditionary arm of the Islamic Revolutionary Guard Corps, which Israel and the West accuse of trying to gain a military foothold in Syria. “The Iranian attack on Israeli territory yesterday was more clear proof of the purpose of Iran’s efforts to entrench itself in Syria, and the danger this poses to the state of Israel and regional stability,” the IDF said in a statement Monday. The IDF has increasingly taken to announcing its strikes against Iranian forces in Syria, after years in which it maintained a policy of ambiguity, with reports of Israeli strikes coming from within Syria or from foreign news outlets. It released video footage of the attack, including on social media. lEarlier on Monday morning, the Britain-based Syrian Observatory for Human Rights said the strikes caused casualties and extensive damage to Iranian and Hezbollah forces. In all, 11 people were reported killed in the strikes, including Iranian and Iranian-allied forces, and Syrian army soldiers. This entry was posted on January 21, 2019 at 9:34 AM and is filed under Uncategorized. You can subscribe via RSS 2.0 feed to this post's comments. You can skip to the end and leave a response. Pinging is currently not allowed.